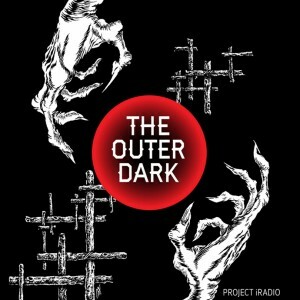 In this podcast The Outer Dark presents the first installment of The Outer Dark Symposium on the Greater Weird 2019 including Friday Night Readings Presented by PseudoPod hosted by Alex Hofelich and featuring Kristi DeMeester, Craig Laurance Gidney, Michael Wehunt, and Damien Angelica Walters, ‘A Brief History of Swamp Things’ presentation by Chris Gavaler, and the symposium’s first panel: ‘Flora and Fauna: The Pervasive Presence of Nature in Weird Fiction’, moderated by Gwendolyn Kiste, and featuring Mike Allen, Kristi DeMeester, Chris Gavaler, Fiona Maeve Geist, Edward Austin Hall, and Eric Schaller. 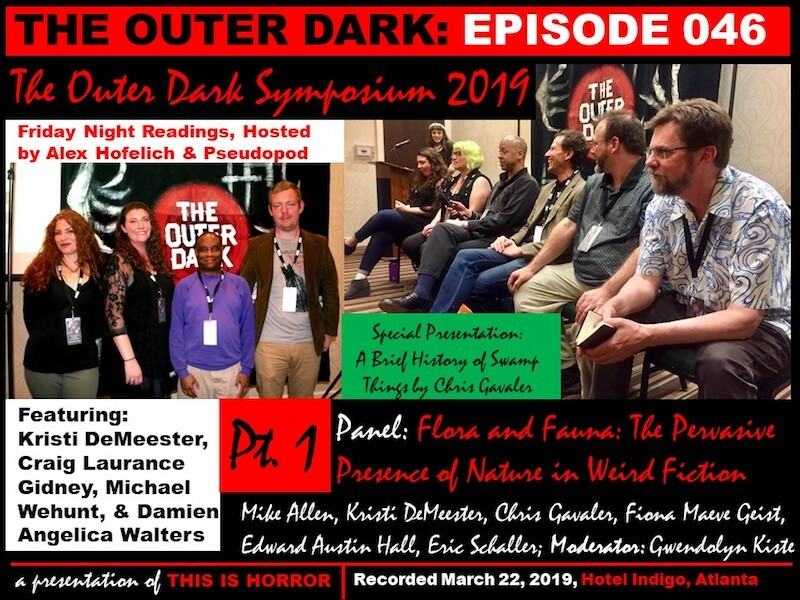 These segments were recorded live on Friday March 23 at Hotel Indigo-College Park in Atlanta, GA. Find out more and listen here. 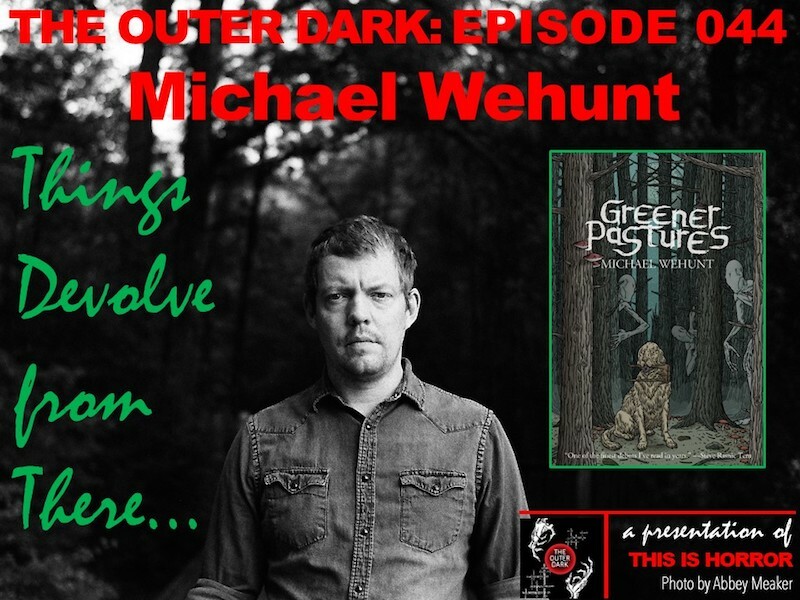 In this podcast Scott Nicolay interviews Michael Wehunt, author of Shirley Jackson Award-nominated Greener Pastures (Apex, 2016) and The Outer Dark Symposium 2019 guest. 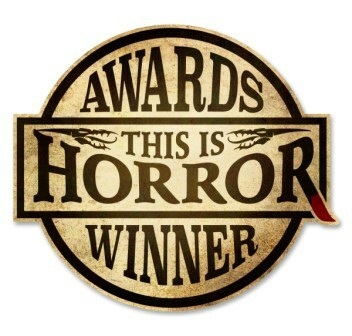 The podcast was recorded on Tuesday March 5, 2019. Find out more and listen here. 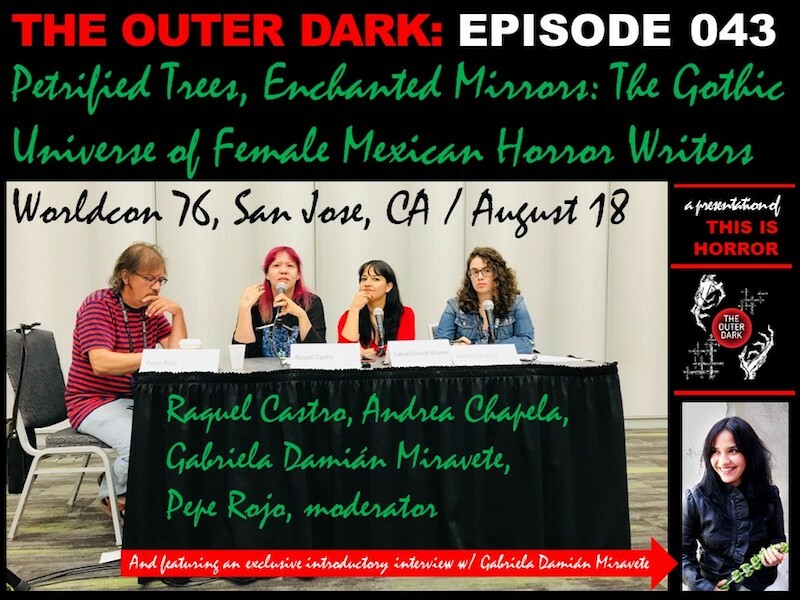 In this podcast The Outer Dark presents ‘Petrified Trees, Enchanted Mirrors: The Gothic Universe of Female Mexican Horror Writers,’ a panel from Worldcon 76 featuring Gabriela Damián Miravete, Raquel Castro, Andrea Chapela and moderated by Pepe Rojo, plus an exclusive interview with Gabriela Damián Miravete, also a guest at The Outer Dark Symposium 2019. 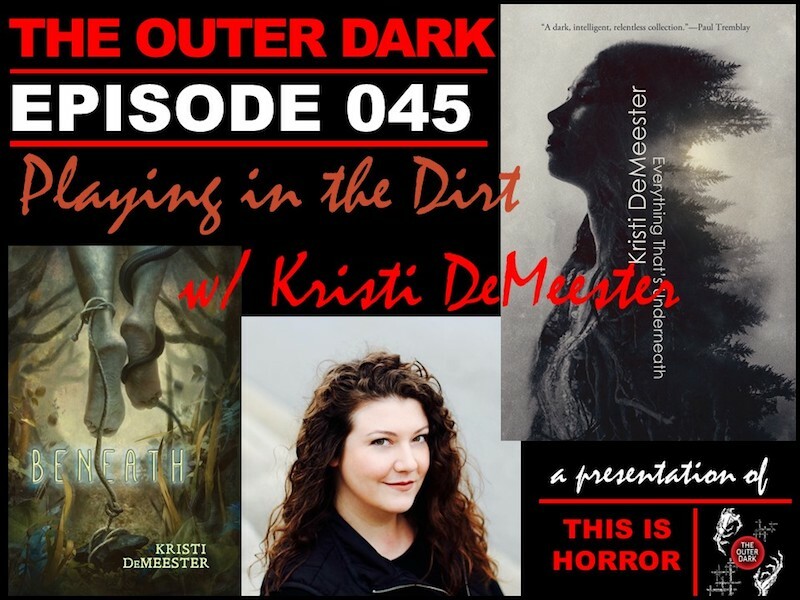 The panel and presentation were recorded live at San Jose McEnery Convention Center in San Jose, California, on Saturday August 18, 2018. Find out more and listen here. 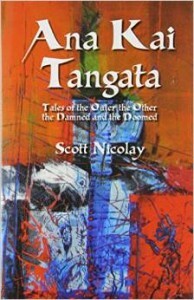 In this podcast Scott Nicolay interviews J.S. 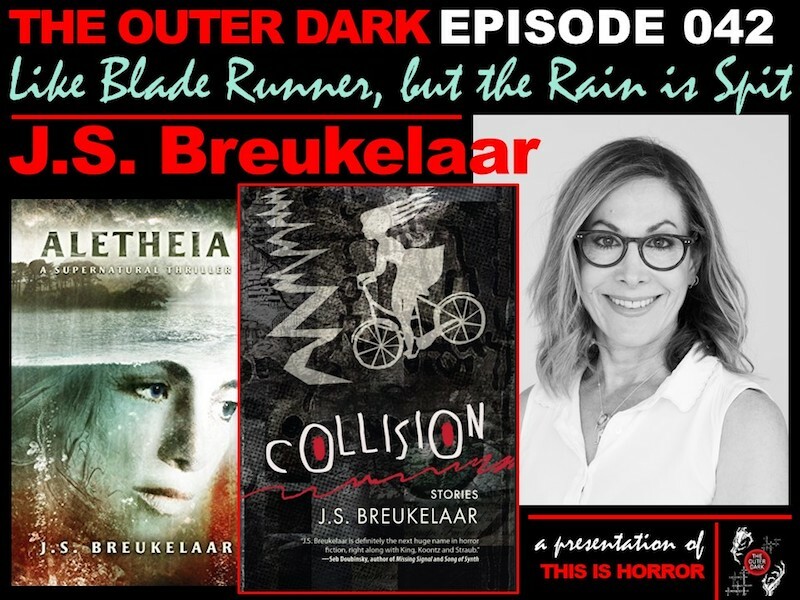 Breukelaar, author of the recently released collection Collision: Stories (Meerkat Press, Feb. 2019) and the novels, Aletheia: A Supernatural Thriller and American Monster. The podcast was recorded on Sunday Feb 17, 2018. Find out more and listen here.